Stargazing lovelies, your December Scopes are officially in! Read them and plan your gifting accordingly. 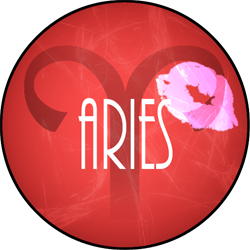 Dashing and flamboyant, you’re on fire this holiday season with your enthusiasm and lust for life, Aries. The timeless and lovely fragrance JOY by Jean Patou is the perfect way to express your effervescence. JOY is a generous profusion of lovely jasmine and rose florals, as well as delightful ylang-ylang, michelia and tuberose. JOY was voted “Scent of the Century,” so it makes an ideal gift for your BFFs, mom, boss or sister. Find the Limited Edition JOY Gift Set featuring 1-ounce Eau de Parfum and JOY-scented luxury soap at www.bloomingdales.com. 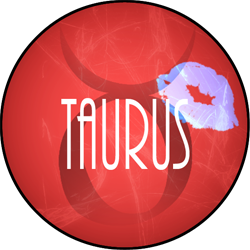 You’ll be feeling bullish in the very best of ways this season, Taurus, which is good news for your love life and energy levels. Farmaesthetics products seem custom-made for you with their high-quality, crafted, and soothing products -- such as the Fine Herbal Cleanser with geranium and lavender and the Deep Lavender Rub, which is ideal for fragrant after-bath moisturizing or for at-home spa pampering. All of the Farmaesthetics products make unique and thoughtful gifts for your favorite people this season, so choose what suits them at www.farmaesthetics.com. 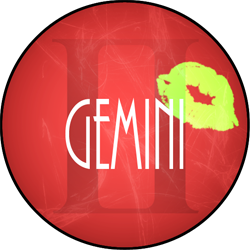 Your blithe spirit soars high this December, Gemini, and you’ll have a profusion of creative ideas. However, you’ll need to take periodic breaks to re-organize and de-stress. Try Lavido’s Aromatic Body Cream, which is a lovely way to treat yourself and relax. Rife with Bulgarian lavender, shea butter, and beeswax, it’s easily stashed in office drawers, purses, and nightstands for a quick treat. Balance your skin’s natural moisture during winter’s freeze, and savor the sweet fragrance of lavender as well. A great gift for loved ones, too! Find it at www.lavido.com. 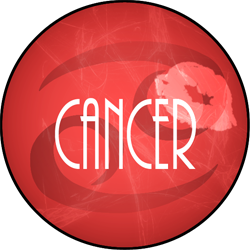 Cancer, your hunches about work and love-related issues are spot-on this month, with a heightened sense of insight and an almost psychic ability to understand the motives of others. And you know the perfect holiday gift this season is an elegant LAFCO candle from the Present Perfect Collection, because it’s an indulgence everyone can appreciate. Gorgeous packaging combined with high-quality fragrances (Pomegranate + Orange blossom, Peach + Marigold, Gardenia + Lime, and many more) render this exquisite line memorable and distinctive. Find your favorites at www.lafco.com. Captivating Crabs: Ariana Grande, June 26; Meryl Streep, June 22; Princess Diana, July 1; Wendy Williams, July 18; Kristen Bell, July 18; Selena Gomez, July 22; Frida Kahlo, July 6, Gisele Bundchen, July 20. Lovely Lionesses: Halle Berry, August 14; Anna Paquin, July 24; Helen Mirren, July 26; J.K. Rowling, July 31; Martha Stewart, August 3; Viola Davis, August 11; Mila Kunis, August 14; Jennifer Lawrence, August 15. Ruled by brainy Mercury, you’re often the sharpest mind in the room, Virgo. This month will see the payoff for all of your brainstorms and hard work. AlternaScript’s nature-based formulas help you sleep better (Rest Up), stay forefront in your work (OptiMind), and enjoy the myriad health benefits of probiotics (NuCulture). Their high standards for quality ingredients and effectiveness will match your own rigorous ones, so you can be assured that this is the real deal for a better 2017. Read more at www.alternascript.com. 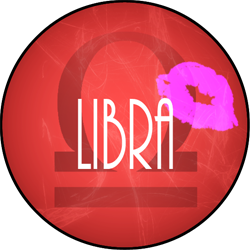 You’re filled with creativity this month, inventive Libra, which will last well into 2017. You can effortlessly apply your artfulness to all spheres of your life: love, work, family, and pet projects that you wish to launch. This season you can whip up amazing gifts for family and friends with T-fal’s AirBake (non-stick and burn proof) cookie sheets. What could be better than burn proof? They come two to a pack – so you’ll have no more charred holiday cookies to woefully scrap into the trash bin. Find this at www.target.com. Luscious Librans: Serena Williams, September 26; Kate Winslet, October 5; Rachel McAdams, October 7; Frieda Pinto, October 18, Ashlee Simpson, October 3; Gwyneth Paltrow, September 27; Kim Kardashian, October 21; Marion Cotillard, September 30. December will be an ideal time for you to organize your life, Scorpio: toss out the old in anticipation of what 2017 will bring, and its gifts for you will be plentiful. Keep only what works for you, and this applies to every sphere of your life. Toss out your old pull-up socks in favor of clever, double-duty Keysocks – the socks you can wear with flats, pumps, and boots because they combine the style aesthetics of athletic socks with the warm and practicality of pull up socks. Check them out at www.keysocks.com. A new twist on a stocking stuffer, too. 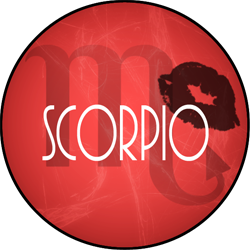 Smoldering Hot Scorpios: Anna Wintour, November 3; Katy Perry, October 25; Emma Stone, November 6; Gabrielle Union, October 29; Grace Kelly, November 12; Jodie Foster, November 19; Ming-Na Wen, November 20; Marie Curie, November 7; Marie Antoinette, November 2; Kimberly McDonald, November 16. 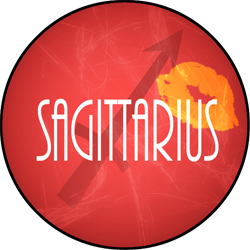 You’re ready to roam the globe, Sagittarius, and 2017 will provide ample opportunity for you to set sail, set up camp, light some night fires, and explore new and wild terrain. Jackson Hole’s Mountain Khakis will ensure you’re attired in the best and most useful clothes for trekking, traveling, snow-romping, working out, and even just working in the office. Find tops, bottoms, outerwear, shorts, T-shirts, tanks, and skirts at www.mountainkhakis.com, and order your holiday gifts, too. There’s something for everyone on your holiday list there, and their clothing is high in quality and long on style. Sultry Sagittarians: Nicki Minaj, December 8; Scarlett Johansson, November 22; Miley Cyrus, November 23; Tyra Banks, December 4; Judi Dench, December 9; Taylor Swift, December 13; Anna Faris, November 29; Britney Spears, December 2, Jane Austen, December 16. 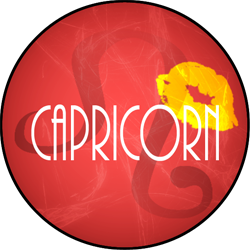 You’ll be searching for more versatility in December, lovely Capricorn, and well into the new year, too. You want to do more with what you have, forge more alliances (both personal and professional), and experience wider berth in general. The good news: your path is clear of obstacles this month, so reach for those dreams! The rollerball Pinrose fragrance collection is perfect for you because it contains a multitude of whimsical & wonderful fragrance options, such as Merry Maker, Campfire Rebel, Wild Child, Gilded Fox and Garden Gangster. Or maybe Secret Genius or Cuddle Punk would be more to your liking? Try the Starter Kit with 10 fragrance samples, and read more at www.pinrose.com. Glamorous Goats: Michelle Obama, January 17; Carolina Herrera, January 8; Hikaru-Utada, January 19; Kate Moss, January 16; Nigella Lawson, January 6, Zooey Deschanel, January 17; Sienna Miller, December 28. Innovative Aquarius, December is a month when you’ll feel empowered and energized, and it’s a force that will carry into the new year, too. You’ll be a human dynamo of sorts, getting everything done with finesse to spare. Take a bow, because you’ll warrant it. You’ll delight in the usefulness and inventiveness of the Rain Design mStand 360 computer stand. It elevates your laptop for easier typing and viewing, and enables you to swivel it for sharing brilliant ideas. Sturdy, sleek, attractive, and utilitarian (it cools your computer down), the Rain Design mStand is truly a thing of beauty – just like you. It’s also a perfect gift! Find it at Apple stores and at www.raindesigninc.com. Winsome Water Bearers: Ellen DeGeneres, January 26; Oprah Winfrey, January 29; Kerry Washington, January 31; Shakira, February 2; Elizabeth Banks, February 10; Jennifer Aniston, February 11; Christina Ricci, February 12; Kelly Rowland, February 11. Sweet-hearted Pisces, the magic of this season is never lost on you. Now is the time for you to roll out your creative ideas and inspired projects, because the world will be receptive and appreciative. Don’t hold back! For you this month: The Starling Project offers a new line of sophisticated home candles that provides clean solar energy to under-resourced countries globally. They’re gorgeous, and their unique, unisex scent varieties (for example, vanilla + hemlock) render them ideal for anyone and everyone on your holiday list. It will feel great to help make the world a better place. Visit www.starlingproject.org and light up your life. 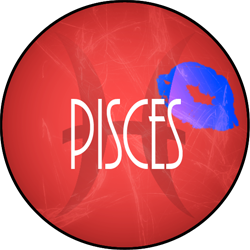 Perfectly Piscean: Rihanna, February 20; Ellen Page, February 21; Drew Barrymore, February 22; Chelsea Handler, February 25; Rashida Jones, February 25; Carrie Underwood, March 10; Eva Longoria, March 15; Jessica Biel, March 3, Olivia Wilde, March 10.